The most basic principle of the Christian moral life is the awareness that every person bears the dignity of being made in the image of God. 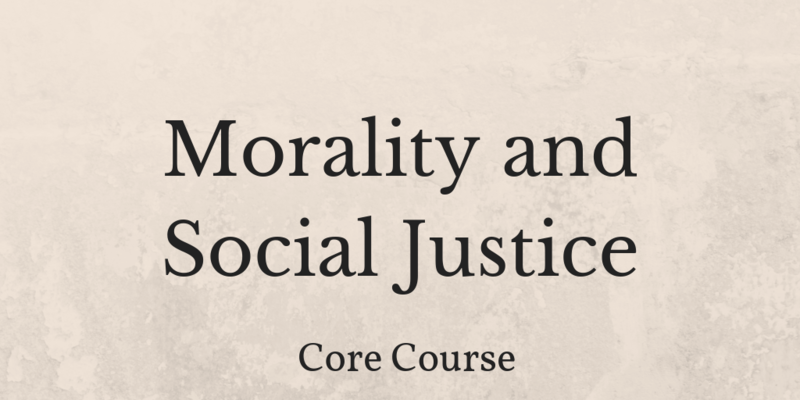 This course will focus on the fundamentals of moral life and on how they help us nurture a relationship with God, with one another and with the world. Social Justice is the means by which we respond to such Christian vision, thus bringing into perspective the Church’s expertise in human values. Reflect on the manner by which we actively participate in God’s work by shaping the world around us with love, justice and peace.